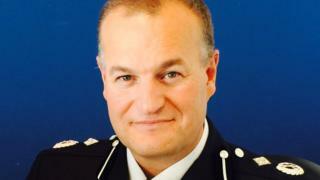 The preferred candidate to be the new Chief Constable of South Yorkshire Police has been named by the region's Police and Crime Commissioner (PCC). Stephen Watson, currently the Deputy Chief Constable of Durham Constabulary, has been selected as the man to replace outgoing police chief David Crompton. Mr Crompton was suspended following the Hillsborough Inquests and proceeding to dismiss him from service are under way. PCC Dr Alan Billings said Mr Watson would be appointed in November. Dr Billings said: "South Yorkshire Police is one of the most high profile forces in the country at the present time and I am confident that, subject to Police and Crime Panel approval, we have selected a chief constable who will be able to lead the force through transformational change as we continue to restore trust and confidence with our public, partners and staff. "Mr Watson impressed us all with his experience, energy, drive and leadership qualities." Mr Watson, who began his police career at Lancashire Constabulary in 1988, was one of three candidates interviewed for the job. He said he was "delighted" to be selected and is "looking forward to taking up the role". He said: "I fully recognise the difficulties that the force has faced in recent times and I am committed to leading the organisation through times of change." Mr Watson has previously worked at Merseyside Police as Chief Superintendent and the Metropolitan Police as Commander for the East Area. He joined Durham Constabulary in 2015. Prior to his suspension, Mr Crompton had intended to step down in November after four years in the post and 31 years in policing.